Nikon UK today announces a new super telephoto zoom lens – the AF-S DX NIKKOR 55-300mm f/4.5-5.6G ED VR. With a focal length ranging from 55mm to 300mm (equivalent to 82.5mm to 450mm on DX format D-SLRs) it enables the user to really get up closeand personal with distant subjects. end, this lens leads the way in affordable and portable telephoto photography, ideal for family sport events and holidays. shutter speeds at longer focal lengths, or when shooting in low light. 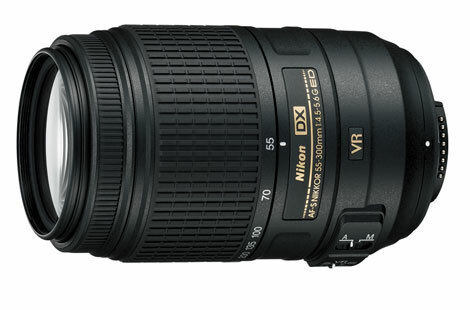 The AF-S DX NIKKOR 55-300mm f/4.5-5.6G ED VR incorporates Nikon’s SWM (Silent Wave Motor). This ensures that the autofocus is fast and quiet so you don’t miss that crucial moment, nor draw attention to yourself in more private settings. The AF-S DX NIKKOR 55-300mm f/4.5-5.6G ED VR incorporates high quality ED and new HRI (High Refractive Index) glass elements to help deliver crisp images, even under harsh lighting conditions. 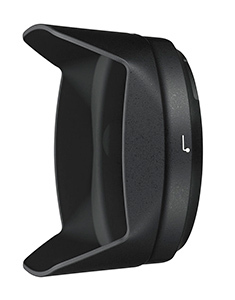 The lens has a weather sealed mount, which prevents moisture and dust infiltrating the lens or camera sensor. 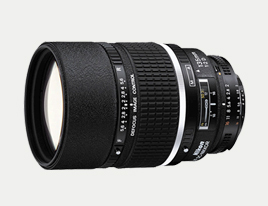 NIKKOR 55-300mm f/4.5-5.6G ED VR is an affordable and compact lens that will be a welcome addition to any camera bag. 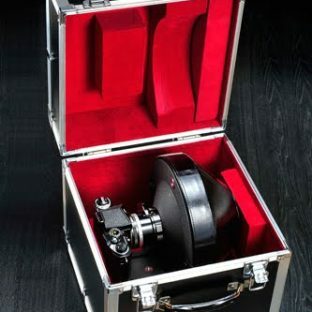 The lens is supplied with HB-57 lens hood to prevent flare in strong light and a lens pouch for safe storage and transportation. The lens will also be available in zoom kits with Nikon’s popular D-SLR range. Founded in Japan in 1917, Nikon has grown to become the world leader in digital and precision optics technology with a strong presence in all four corners of the world. 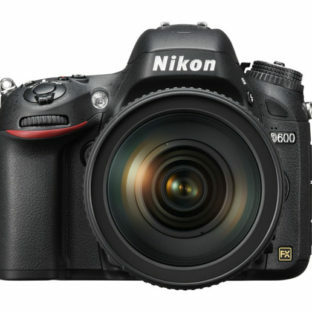 Through its award-winning productline-up, including entry-level and professional digital SLR cameras,interchangeable NIKKOR lenses and the consumer COOLPIX range, Nikon regularly raises the standard in product design and performance. With over 90 years of engineering expertise, it is no wonder that Nikon is the top choice for photographers around the world. In 2009, Nikon celebrated two key milestones in the lens category – the 50th anniversary of its legendary F-mount SLR lens-mounting system, making it the only manufacturer to sustain its original lens mount for such a long period, and the production of its 50 millionth NIKKOR lens. 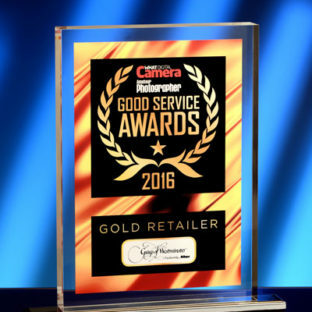 Both highlight Nikon’s dedication to producing quality and functional products that can be used by photographers for years to come. Nikon also produces equipment such as IC and LCD steppers and scanners, instruments such as microscopes and semiconductor inspection equipment. Other products include sports optics products such as binoculars, rangefinders and fieldscopes, ophthalmic lenses and surveying instruments. It is the only major optical company in the world that still controls and manufactures every aspect of its glass-making business, allowing it to finely tune Nikon lens specifications, quality and performance. Nikon has consolidated net global sales of 879,719 million Japanese Yen (year ending 31 March, 2009) and Nikon Corporation is listed on the Tokyo Stock Exchange. Nikon: At the heart of the image.